Gutter Cleaning - Erik's Painting Enterprises, Inc.
Barrington Gutter Cleaning is the sister company of Erik’s Painting, Inc. and focuses primarily on the cleaning of residential and commercial gutters and downspouts, and the installation of gutter guards and filters. We happily perform the messy and often dangerous tasks related to gutter cleaning that most homeowners don’t wish to do. We are here to service your needs. We also clean gutters in the surrounding Northwest suburbs of Chicago including Arlington Heights, Libertyville and Lake Zurich. It’s very important to have your gutters cleaned regularly to avoid costly water damage as a result of gutter-overflow or ice accumulation in your home’s gutter system. 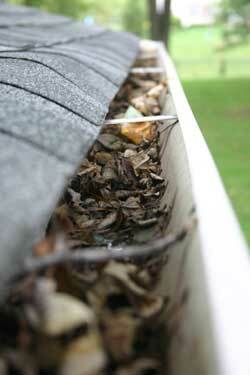 We recommend cleaning your gutters twice a year; once in the spring/summer months and once again in the late fall. Spring cleaning is important because spring rains cause the accumulation of buds, seeds, and muck in the gutter system, as well as the growth of vegetation in the gutters (as a result of the seeds). Fall cleaning helps to ensure the flow of water prior to the winter’s freezing temperatures and avoid ice damage to the gutters or to the home itself. While trees are the main culprit of producing gutter-clogging debris, we also find that bee nests, bird nests, and other such wildlife can aid in blocking your gutters and downspouts. We also remove such blockages as well. To reduce the annual maintenance of cleaning the gutters and downspouts, we also install gutter guards at your request. While there are many solutions available in the industry today, there are two systems that we mainly rely on, providing the best overall results. Whether you prefer biannual cleanings, or to simply install a gutter guard system, we are here to service your needs. We also clean gutter in the surrounding Northwest suburbs of Chicago including Arlington Heights, Libertyville and Lake Zurich. 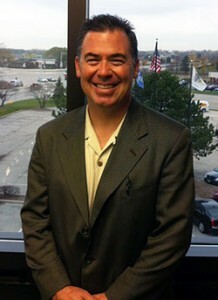 Please call us for a free estimate today.